In many cases, we may want to create a list of month end dates. This can be done either by formula or Fill. 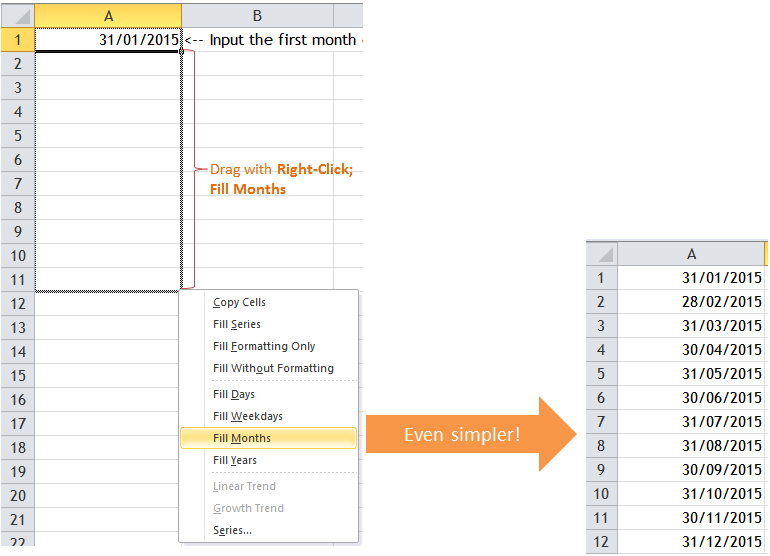 Either way, we should input the first month end date (starting date) manually. EOMONTH simply means end of month. 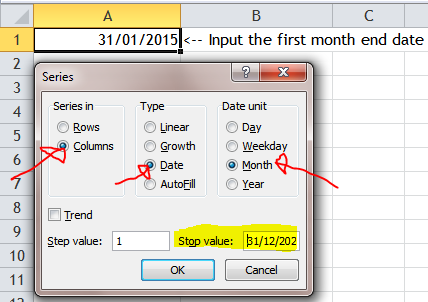 Start_date represents any date to tell Excel where you start. 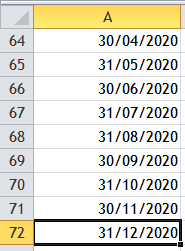 Months indicates the number of month(s) before or after the Start_date, i.e. -10 means 10 months before; 0 means same month of ; +1 means one month after start_date. 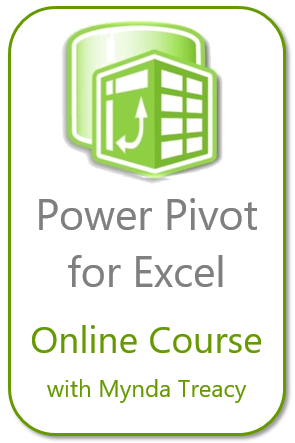 Note: This function applies to Excel 2010 or later. If you have no luck in using this function, try the alternative below. 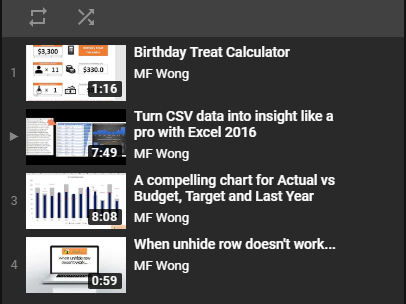 This entry was posted in Excel Tips and tagged EOMONTH, Fill, Mouse Tips. Bookmark the permalink. 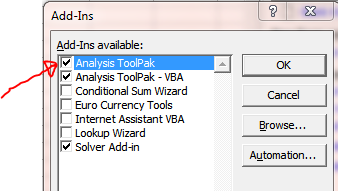 EOMONTH can be used in, almost, any older version – just enable the Analysis Toolpak.